The 23rd installment in the longest-running movie franchise has breached theaters in the U.K., and many are calling it a grand film. In celebration of that and the 50th anniversary of James Bond, comes what I call the five best James Bond video games on the market. 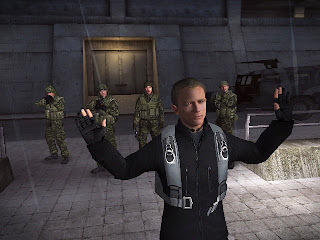 Trust me -- this will be a better ode to Bond than 007 Legends, though that shouldn't be too arduous of a mission anyway. So lock and load your Walther PPK, take your drink shaken and not stirred, and get ready for these five terrific Bond games. 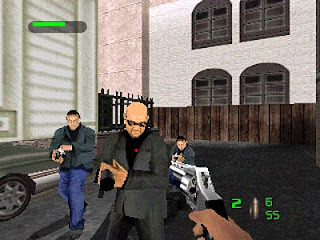 The first of two James Bond games on this list that were not based off of movies or books, 007: Agent Under Fire was a last generation title featuring a Bond not modeled after a film likeness. The game featured run and gun action, plenty of gadgets from Q to tinker around with (or to actually complete missions with), as well as driving and on-rails segments. To say that Agent Under Fire was lacking in gameplay variety would be a lie even a spy like James Bond couldn't say with a straight face. 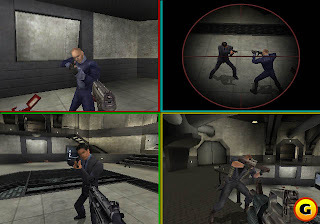 Alongside the solo missions, there was a staple of most Bond games -- full multiplayer. And like any good multiplayer game, Agent Under Fire had the option for bots. Why games made in 2012 cannot have a feature a PlayStation 2-era title had is beyond me, but I'm sure one of my readers out there will set me straight! When you try to create a re-imagining of a classic game, it becomes incredibly difficult to get your game out of the classic's shadow. 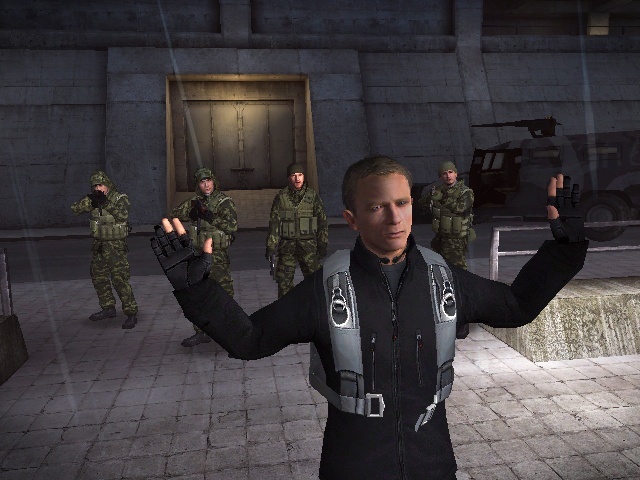 While Eurocom's 2010 GoldenEye 007 on Wii did not surpass Rare's 1997 classic, it did run close with it, offering an alternate take on the film's story with current Bond Daniel Craig in the driver's seat. 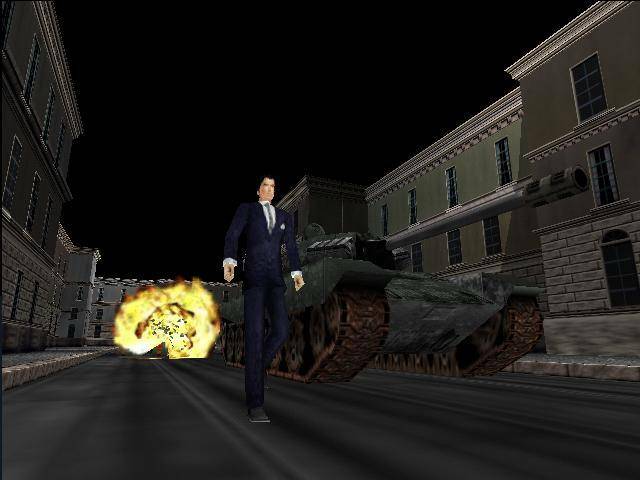 Eurocom's retelling of the GoldenEye story was altered with new plot points to make sense in the more modern world. Also, alongside the updated story were updated levels and environments that could be destroyed. The Wii remote added some of the greatest first-person shooter controls on a console with pinpoint precision and accuracy. It was just a breeze aiming and shooting enemies. 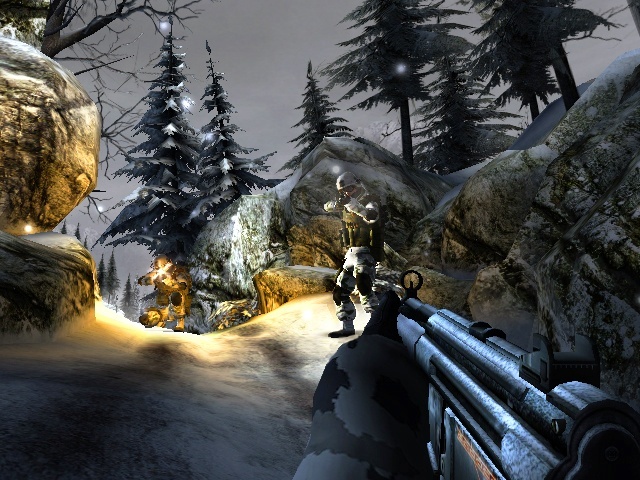 And when the enjoyable solo campaign was not the player's cup of tea, they could hop online with up to seven other players across ten well-made maps for a license to frag. Why the game is not higher on this list is because this version of GoldenEye felt more like Call of Duty than entirely a Bond game. Like Agent Under Fire, Everything or Nothing featured a wholly original plot attached to it, but unlike every other game on this list, Everything or Nothing was played in a third-person view. The game would be Pierce Brosnan's last performance as James Bond (I'll always love you in that role, Pierce), shortly after Die Another Day. Joining him was an all-star cast: Dame Judi Dench, Willem Dafoe, Heidi Klum, and Richard Kiel who reprised his role as Jaws. The game had a mix of stealth, cover-based gunplay, gadgetry, and even some well done driving sections in Bond's Aston Martin. I was amazed most by how well EA managed to spare no expense on the production values while creating a game that looked and felt like James Bond through and through. Adding in some two player cooperative gameplay, and Everything or Nothing made for itself an incredibly rewarding Bond experience. 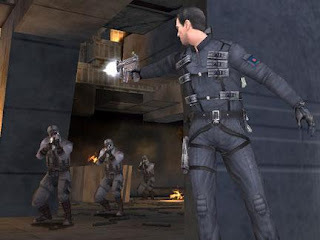 The second game developed by Eurocom on this list of the top five James Bond titles, 2000's 007: The World Is Not Enough was based on the 1999 movie of the same name (well, nix the 007 part). After Tomorrow Never Dies' negative critical response, Eurocom opted to send Bond back to his first-person lineage as a certain well-known and loved 1997 Nintendo 64 game made popular. 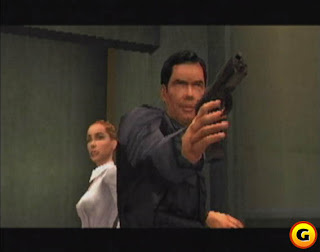 The final product was EA's attempt at creating a GoldenEye-like game with mission objectives that needed to be completed in order to finish a given level. TWINE was a fantastic first-person shooter with over a dozen solo levels spanning familiar locales of The World Is Not Enough, and three difficulty settings which added in harder enemies and more objectives to complete. Thrown in for good measure was a multiplayer mode which could fortunately be played with bots as well as human opponents, which offered an immense amount of fun as players hunted one another across the well-designed maps, one even taking place high in the sky on a plane. TWINE was a terrific Nintendo 64 shooter that hit home the point that James Bond was a force to be reckoned with not only in his films but in his video games as well. 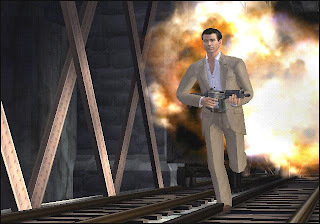 After you have rolled your eyes and said "how unoriginal of a choice for number one", get cozy and read why I have picked the 1997 classic as the number one Bond game. GoldenEye 007's history is quite interesting. It started in development going towards an on-rails shooter. The development team then shifted gears toward making something more akin to a first-person shooter. The fruits of Rare's labor turned into one of the most successful Nintendo 64 games and one of the most important console games in industry history, despite being released two years after the movie it was modeled after. It made first-person shooters on home consoles a viable idea, and Halo, Call of Duty, and all FPS games that followed it have GoldenEye 007 to thank. 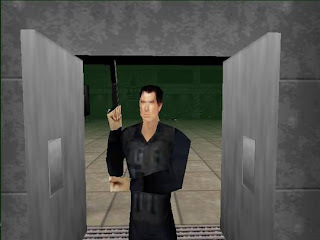 Like the game it inspired, TWINE, GoldenEye 007 had various solo missions that could be played on one of several difficulties. The harder the difficulty, the less ammo was around, the more bullets enemies could withstand, and the more objectives needed to be completed. And that multiplayer mode that became the popular go-to attraction at many a slumber party? It was added in late in development as if it weren't important at all. It seems every James Bond game has to live up to the standard GoldenEye 007 created. That's for good reason, too. As Carly Simon so famously sang, "Nobody does it better." We have reached the end of our mission. Time for us to part ways until next week. In the meantime, feel free to list what James Bond games you have enjoyed the most over the years.